Guletbookers are proud to announce its participation in the upcoming edition of the TYBA Charter Show. This year will be the second edition of the Turkish charter show. Hosted from 9th - 12th May in Bodrum’s Yal?kavak Marina, the annual event brings over 60 of the best of the Mediterranean charter gulets together with international yacht charter brokers. Organised by the Turkish Yacht Broker’s Association (TYBA), the TYBA Charter Show 2019 is an opportunity for yacht brokers in the Mediterranean to view some of the best gulets and luxury yachts available to charter in the Eastern Mediterranean yachting hotspots of Turkey and Greece. Guletbookers is proud to be showcasing one of the most successful charter yachts in their luxury yacht fleet during the TYBA Charter Show. The 36-metre high-deluxe gulet, CANER IV. This VIP gulet accommodates up to 16 guests in eight luxurious cabins. With plenty of deck space and an experienced Captain and crew, a charter holiday on CANER IV delivers one of the best bluewater cruising experiences along the Turkish Coast and the Greek Islands. With the fantastic reputation of the luxury gulets available in Guletbookers’ large fleet, the Turkish charter company has grown over the past 12 years to be a leading player in the Mediterranean yacht charter business. Now with a network spanning 22 countries and providing access to agents and brokers in seven different languages, events like the TYBA Charter Show are a great way to grow expertise and check out the best gulets and yachts available for charter in Turkey and the Western Mediterranean. The TYBA Charter Show 2019 will be hosted at Yalıkavak Marina in Bodrum from 9th to 12th May 2019. 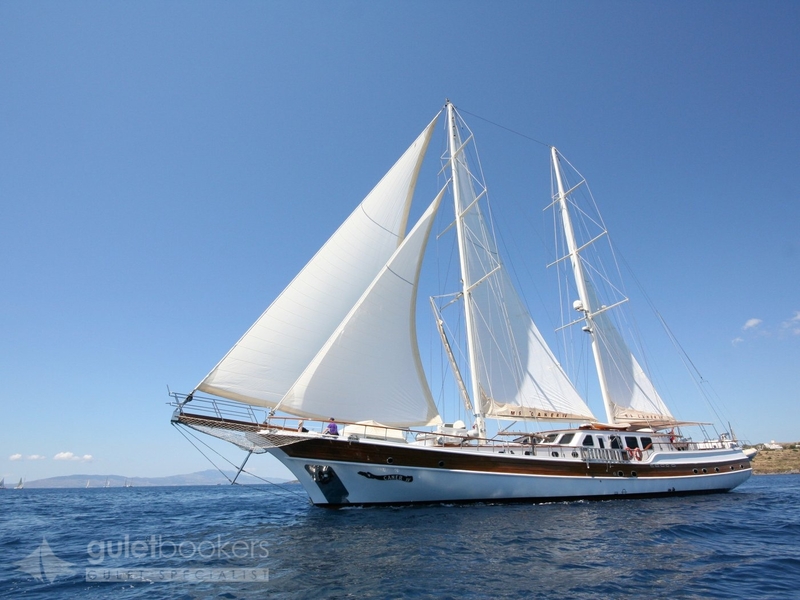 Are you looking for your perfect yacht for a fantastic gulet charter holiday? View the luxury gulets available with Guletbookers here!